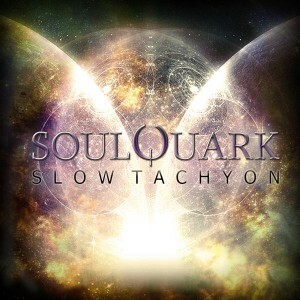 The Neogoa netlabel proudly presents Slow Tachyon, the cerebral debut of SoulQuark (Clément Laporte), a talented newcomer from France. The music of SoulQuark can be described as deep and emotional downtempo with strong influences from IDM and tribal music, all spiced up with enchanting vocals and cinematic atmospheres. Mastering by Clement Bastiat AKA Cubic Spline (Hadra) with artwork design by Richpa at Neogoa Design. MP3 Download | FLAC Download | WAV Download · Download count: 8,478. Great work , Slow tachyon ! Very nice, love the atmosphere! Great stuff…You may suffer from Nitrogen Narcosis, and receive a new Soul Bruise, but as you sit beneath Tāne Mahuta you will learn the Celestial Language, becoming Lost in Frozen Dream. Really enjoying this one, thank you! Enjoying this muchly. Nitrogen Narcosis is outstanding. I dig the transition at 3:52 at that one. Will listen more. Agreed with that, Nitrogen Narcosis is an exceptionally well-assembled piece. Many thanks for sharing. The worst using of Bulgarian Voices (in track 01) I ever heard. So out of rhythm. Balkan folklore is very hard to mix with beats, this one is very wrong done. In track 03 – the same thing – Bulgarian Voices – is better. But anyway – the Internet is full of DJs mixing with Bulgarian Voices, hearing it here again twice in 5 track album is quite banal. Excellent release! Deep, energetic trance-sounds… My fav’s Nitrogen Narcosis. Five stars!!! I have to say, after numerous listens, this is my favorite deep trance project from 2013, no doubt about it. Keep up the good work, can’t wait to hear what SoulQuark has in store for us next. I’ve had this album on my iPod for so long but I always skipped past it and today I finally listened to it… Like what was wrong with me? It’s sooo good, I’m really happy I finally “discovered” it. Great work, immensely looking forward to the next release by SoulQuark!! The collective human consciousness will never bother you anymore without a good reason if you listen to Celestine Language. It’s how you learn to speak with the human Eye of Horus, which we call God. Nitrogen Narcosis puts you in a great state of mind while doing that. SoulQuark and Amanians solve most of problems that religion is causing. Combine both and it will be the best musical therapy I’ve ever seen. really love this work, thanks! Nitrogen Narcosis is a master pieces, and all the albums song, really thanks SOULQUARK! Fantastic Album! Iranian guy here , and Vocal in second Track is Persian , awesome! Ouh yeah ! Inspiring world ! But Slow Tachion’s is a very paradoxal name. Tachions are faster than light in vacuum !